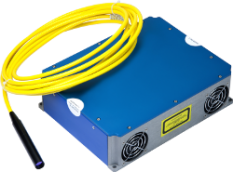 The TARV is a compact CW fibre laser delivering up to 50 W of output power through a near diffraction limited beam. The patented “Injection Technology” allows highly reliable broad area laser diode pumps to be used, for cost-effective and maintenance-free operation, installation service. The TARV is the ideal solution for a broad range of material processing and scientific applications.